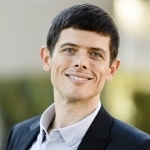 David Wiss is in the Process of Earning his PhD Public Health from UCLA in the Department of Community Health Sciences! I am a working Registered Dietitian Nutritionist (RDN) with an academically focused private practice specializing in patients with challenging eating and substance use disorders. In addition, I supervise several educational groups at various addiction treatment centers throughout the Los Angeles area. My interest in this unique patient population led me to develop specialized dietary curriculum for people in early recovery. Currently, there are no “best practice” protocols. To this end, I am pursuing a PhD in Community Health Sciences in order to improve the impact of nutrition interventions in patients with various addictions, as well as develop curriculum for clinical practices on a larger scale. My overall aim is to reduce disordered eating in early recovery and to improve the quality of life for patients with disabling addictive disorders. Introducing the concept of food and nutrition into an addiction treatment program is not an easy task. Many patients in early recovery are not ready for multiple health behavior changes, since most are simply trying to get past the immediate crisis of addiction and the associated life adjustments of abstinence. In fact, sobriety can magnify pre-existing dysfunctional eating behavior. 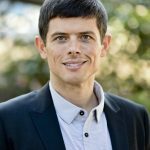 Many patients began using drugs and alcohol in their early teens, and never developed a healthy relationship to food, and may have damaged their gut microbiota through the use of alcohol, pills, opiates, and other substances, creating significant barriers to nutrition interventions. 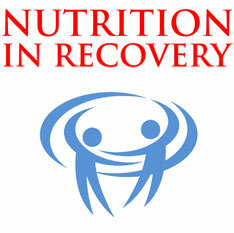 Most are unaware of the links between nutrition and recovery. Meanwhile, an increasing number of people in recovery have reported that the inclusion of healthful food as a healing modality has been beneficial for their overall mood and mental acuity. In several of the treatment centers where I work, patients are surprised when they discover that making small nutritional changes (such as drinking water or eating breakfast) can impact energy levels, overall sense of wellness, and optimism about being sober. Unfortunately, traditional medical insurance plans do not cover nutrition services for addiction recovery. This is in part due to a lack of objective evidence about the efficacy of nutrition interventions in addiction recovery. My goal is to develop evidence-based guidelines for nutrition interventions in substance use disorders, which will hopefully lead to new policies and protocols for nutrition standards. Specifically, I am proposing an investigation of various measurable outcomes such as weight changes, nutritional status, inflammatory markers, length of abstinence, quality of life, and self-efficacy, in individuals receiving nutrition education and life skills training (shopping, cooking) compared to individuals who do not (control group). My Master’s Thesis “Nutrition and Substance Abuse” was a multidisciplinary (psychologists and dietitians) investigation into the special needs of patients with addiction/alcoholism in the Veterans Affairs healthcare system. The survey study examined differences between veterans (who were engaged in recovery) with a history of alcohol or drug abuse and those with no history, all of who were enrolled in a weight management program. One of the significant findings in the study was that individuals with a history of substance abuse reported more difficulty controlling their eating when they were depressed. This research was published internally and awarded the Carrie Latt Wiatt Scholarship by the Family & Consumer Sciences (Nutrition) department at California State University, Northridge (CSUN). During my dietetic internship year, I spent four transformative months at UCLA Medical Center where I worked with the eating disorders unit. During this time, I also began to teach nutrition classes at local addiction treatment settings. It quickly became apparent that patients in most treatment centers do not receive targeted nutrition education. After graduation from CSUN in 2013, I opened a private practice to treat patients with addictions, eating disorders, and those struggling with weight management, body image, and mental health issues. I founded Nutrition in Recovery to offer a range of nutrition and wellness services to private sector addiction treatment centers. At this time I was also on staff at Breathe Life Healing Centers, developing their binge eating disorder program as Director of Nutrition. After years of working in the field, I feel ready to pursue a PhD degree at UCLA. Since becoming a registered dietitian, I have continued to be involved in research and education. I have published two book chapters and two peer-reviewed journal articles on eating disorders and addictions. In the past three years I have chaired five webinars sponsored by the Academy of Nutrition and Dietetics on topics related to my area of expertise. Additionally, I serve as a consultant reviewer for the Journal of The Academy of Nutrition and Dietetics. From 2012-2014 I was a member of the executive committee of the Behavioral Health Nutrition Dietetic Practice Group where I gained insight into the role of nutrition in the treatment of mental illness. As the Research and Grants Committee Chair for the Los Angeles District (California Dietetic Association) I created a video series about the importance (and lack) of research in dietetics. Since that time I have felt a strong determination to “be the change I wish to see” in the nutrition field, which means conducting original studies using validated research methodology. I am seeking the training and support from the UCLA School of Public Health to achieve these goals. Personal career highlights of mine have included teaching opportunities at conferences, hospitals, and at local universities. In my private practice I am a preceptor for numerous dietetic interns, where I can “give back” as well influence the future of my field. For several years I have volunteered at the United States District Court in downtown Los Angeles teaching nutrition courses to post-guilty-plea defendants in the conviction and sentence alternatives (CASA) program. This work with underserved populations in the criminal justice system has created a sense of purpose and duty that I would like to develop further. This experience has led me to believe that an academic career would complement and fulfill my life’s mission: to use nutrition to help people. I am also proud to be a co-founder of an organization called Dietitians for Professional Integrity. We are a group of concerned dietetic professionals looking to advance our profession and credential through advocacy for greater financial transparency and ethical sponsorships within the Academy of Nutrition and Dietetics. Our efforts and dialogues with other dietitians and our Academy leadership have spurred policy changes regarding industry-sponsored educational sessions at our annual Food and Nutrition Conference and Expo. We believe the American public deserves nutrition information that is not tainted by the questionable interests of the food industry, who funds most of the nutrition research in the United States. With publication bias and ways of spinning conclusions in favor of their agenda (profit), the food industry has succeeded in undermining public health initiatives to reduce intake of high-energy foods with very little nutritional value. There is more advocacy work to be done and I am highly motivated to conduct innovative research within the emerging framework of food addiction. From my perspective, the Community Health Sciences Program at UCLA offers me an excellent pathway to advance these goals. 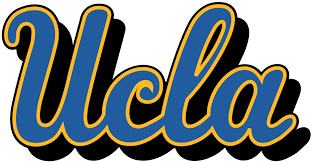 Another goal in obtaining a doctorate from the UCLA Department of Community Health Sciences is to broaden my knowledge and skill set in order to evaluate and interpret complex data using statistical analysis. Advanced graduate training will improve my ability to think in a formal, logical, and structured way, and to assess needs on a population level. In recent years, research that demonstrates a connection between food and addiction has gained momentum and increased public attention. I have been called to contribute to our understanding of how brain chemistry, hormones, and gut microbes influence human behavior. My aim is to bridge this gap and establish a better scientific basis for nutrition in recovery. Traditionally, we have looked at eating disorders as individual (and family) issues, but now is the opportunity to further understand them as public health issues. Addiction and eating disorders are both major public health problems worldwide. There are numerous questions that relate to food, addiction, eating disorders, and recovery that remain unanswered. Can nutrition be used to improve addiction outcomes? What is the best practice for treating co-occurring eating and substance use disorders? How can dietitians help with recovery from mental health disorders? What policy implications can address food addiction on a societal level? What new programs can be developed for underserved populations that struggle with addiction and nutrition-related challenges? The UCLA School of Public Health will provide an opportunity to investigate some of these questions, which will hopefully translate into more effective health policies that could impact the way we treat addiction and eating disorders. In order for nutrition in addiction treatment to improve, we need strong leadership and unbiased data. My goal in pursuing a doctorate in public health is to produce data that guides treatment. I am confident that my work in this area will create strong evidence to improve funding for nutrition services, creating opportunities for dietitians to work in publicly-funded as well as underserved addiction treatment centers. Dietitians desperately need more evidence of effectiveness in order to advance our profession. With new information it may be possible to change the way we approach addiction treatment, but more importantly to improve the recovery process amidst the current addiction crisis.